We realise that not everybody can afford to purchase a new Cures and Enhancers kit each year and while the cures from the previous year will not be as effective, we have still found a way for you to implement the cures into your home for 2018. I know most Feng Shui websites and books will say that you should not reuse at all and throw away or bury three feet into the ground as the previous year’s kit stores so much collective negative energy, I do not like to advise this as I know that there are still many people who cannot afford to replace the kit each year and you will always find alternatives in our advice that everyone can implement a cure regardless if they use the kits or not. To cleanse your cures, you should ideally place them all outside under a full moon overnight or in direct sunlight for at least 4 hours and sprinkle with rock or normal salt. Rinse under water (don’t forget to dry them) in the morning and place them in the appropriate areas. This does not apply to the salt water cure, as this MUST be renewed every year without exception. As with all our products including the annual cures kits, they are all cleansed of negative energy and empowered with positive Sheng Ch’i energy, which makes them so much more effective. 1 x Master cure (Cai Yuan Guang Jin) (MC2017) This must be replaced with the 2018 Master Cure . Please do not throw this away as it makes a great cure to cleanse and pass down in the family. The wind chime and a salt water cure should be placed in the north of property as the 5 Yellow star (Wu Wang), which is not a good star located in this area. You should also place some metal objects here to weaken further. #2 Black flying star is located in the west in 201;8 hang your six Chinese coins and place your salt water cure, you can also place metal objects to weaken the bad earth. As we have the #2 black star enter the west of the lo shu in 2018, special cures and enhancers are needed more than ever but at the very least to help disperse the negative effects, you should hang a set of six Chinese coins tied with red ribbon and a salt water cure in the west and north of your home or office this year to control the #5 and #2 stars. 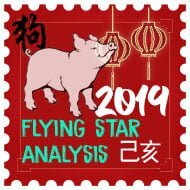 For full details on 2018 flying star analysis follow this link. This is very important in 2018 especially if you have a main door, bedroom, office, lounge or other important room in the west, east, north or northeast. This is just a small part of what you can do to ensure 2018 will be a good year and to further enhance 2018 I would suggest checking out the monthly almanac, flying stars and animal predictions as it not only recommends good and bad days to carry out certain tasks, it will also advise if it is good for your animal sign. 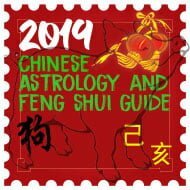 If you would like to be informed in advance of the monthly, annual and fixed flying stars giving you the ultimate control of your home or business, you should consider our 2018 advanced Feng Shui software; it is used by thousands of Feng Shui Masters, Practitioners and students throughout the world. Combining this with our new incredible and extremely powerful Tong Shu Almanac date selection software this will make 2018 a better year indeed. It is important that you try not to make any form of noisy renovations or re-decorative work in the north part of your house or office between February 4th 2018 and February 4th 2019 as we have the Three Killings located in the north together with the annual 5 yellow for the year. You should not disturb the ground by digging holes, digging foundations or conduct any maintenance work with any noisy equipment in this area inside or outside your property or garden. If you have no option but to perform work in the north, I would advise that you place a 6 Metal rod wind chime during 2018 around the time the work is being carried out. This is the worst out of all the annual afflictions and in our home and business we take this very seriously as in our 37 years’ experience with Feng Shui, we have seen some pretty nasty events from this energy when disturbed and this is usually the reason of the problem when people trace back the Flying stars for their home when problems occur. There are also another two other rules that you should follow regarding the Three Killings in 2018. Firstly, if you are moving your desk around this year, never sit with your back towards the north, it is better to face north instead. If the front door of your home or office faces the north, you should take care not to slam the door as the Three Killings can be a lot more settled if the door is opened and shut calmly; this also applies to internal doors and definitely the case if the north of your home is a children’s bedroom or play room. The best cures for the north in 2018 are to place a six rod hollow metal wind chime along with a salt water cure and six Chinese i-ching coins in a row from the 4th February 2018 to the 4th February 2019. The 6 metal rod wind chime should be tapped often to make the chimes jingle and will not activate the three killings as this is only a slight noise. You can also place a pair of Fu Dogs or a Ba Gua Mirror if you have a door located here. If you need to urgently carry out repairs to your home or office in the north, you should place a six hollow metal rod wind chime between the buildings and where the work is being carried out and ideally you should contact a professional Feng Shui Consultant to select an auspicious date to start the work or you can use our Tong Shu software. Like the Three Killings, Tai Sui does not like to be disturbed either. The effects of Tai Sui can be good or bad depending on the annual flying stars that coincide with its location and in 2018, we also have the visiting Kan 1 White Kan (Tang Lang) water star in the northwest which can cause problems for the middle son and it could affect ears, kidneys or blood related. If you have any poison arrows like lamp post, pylons or large comers of house’s pointing toward this area consider hanging a flat ba gua mirror outside pointing towards the offending object. If your property or front door faces northwest in 2018, you must try to avoid the doors from slamming when entering or leaving your home or office as this will almost certainly disturb Tai Sui and cause problems for the members of the home or office. You should avoid digging or renovating your property in this area at all costs if possible. If you have an office or shop door in the northwest this year, I would strongly recommend installing a soft close attachment if possible and if you have children in your home, try to keep these doors from being slammed. Laura’s daughter has her bedroom located in the northwest although they are quite lucky as she is only two and a half years old and spends the majority of her time in the living room when she is playing. The traditional Chinese method to appease Tai Sui is to place a Jiang Wu Tai Sui gold plated plaque for 2018 to pay respect and appease the Deity along with an Arowana fish sitting on bed of coins to enhance the annual #1 star. By paying respect to Grand Duke of Jupiter, we can weaken or avoid the problems that this can bring. 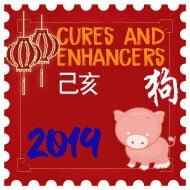 This is really important this year and we have included the Jiang Wu Tai Sui plaque in all our annual cures and enhancers kits. In 2018, the ruling Tai Sui is great general Jiang Wu who is one of 60 heavenly generals. The Tai Sui plaque is plated in gold to represent wealth and was specially made for 2018, year of the Yang Earth Dog to be placed in the northwest. The slate stand is used to represent earth which creates a cycle of earth feeding Metal which in turn enhances the #1 annual water star to enhance wealth in the northwest in the year of the Dog. Sui Po year breaker occupies the division directly opposite Tai Sui Grand Duke, in 2018 is in the southeast with Tai Sui located in the northwest for the year of the Yang Earth Dog. You should treat this area the same as any other annual afflictions with no ground-breaking work, renovations or any noisy activities in the southeast this year. If disturbed, this area can and usually will cause immediate health problems especially with regards to the elderly, so please be very careful. 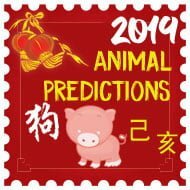 Traditionally to appease Sui Po in a Dog year, you would need to display a Jiebaopinchuan Master Cure and Cai Leishui crystal talisman which we have included in all of our 2018 Cures and Enhancers kits. If you have to carry out work or emergency repairs in the southeast, place a 6 Metal rod wind chime between the buildings and where the work is being carried out and ideally you should contact a professional Feng Shui Practitioner to select an auspicious date to start the work or consult our Tong Shu date selection software. The annual five yellow star has flown into the north in 2018 along with the Three Killings so it is vital that the north is looked after this year with the appropriate cures and enhancers. The Annual #5 yellow enters the north, we have the inherent water energy of the north destroying the visiting energy of the #5 earth star which will weaken the influence of the annual #5 slightly although please do not leave this area untreated as there could still be problems such as sickness, lawsuits and major loss of wealth. It is vital that the north has as much protection as possible as the Three Killings is also located here for 2018. It is highly recommended not to disturb the north of your home or business with noisy activities, renovations or maintenance work. When disturbed, the Five Yellow can bring disaster, sickness, lawsuit and major loss of wealth so please be very careful as it is very afflicted. You must place Six Chinese i-ching coins in a row , a six rod hollow metal wind chime and a salt water cure in the north to avoid the problems that are associated the #5 yellow disaster star in 2018. Please do not start panicking if you have a bedroom or office that is located in the north, southeast or northwest, just start preparing to place your 2018 cures and enhancers kit from the 4th February 2018 to ensure a trouble free year and also cleanse any old cures that you will be reusing this year, and of course make sure you sign up for our free newsletter so you are kept up to date with the monthly flying stars giving you even more control of your destiny. To give you even better control, use our advanced Feng Shui 2018 software as this gives advanced analysis of every home or office facing any direction in any part of the world. Please remember not to renovate, dig or repair in the sectors indoor or outdoor in the north, southeast or northwest in 2018. We are more than happy to share our content; all you need to do is give us credit for our hard work and a link back to our website. Contact jo@fengshuiweb.co.uk for more details.